Theun Baller has been dean of the faculty of 3mE since June 2012. He has always worked at the interface of science and business. 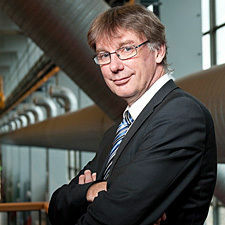 Before he was appointed dean, Theun was Open Innovation Program Manager at TU Delft. Between 1986 and 2011, he held various positions at Philips Research, gaining extensive experience in working with scientists to foster successful research. During his last ten years at Philips, Theun was an active member of the management team as Chief Operating Officer and Program Manager. Theun Baller studied Physics at the University of Amsterdam and obtained his PhD for fundamental process research at the University of Twente.